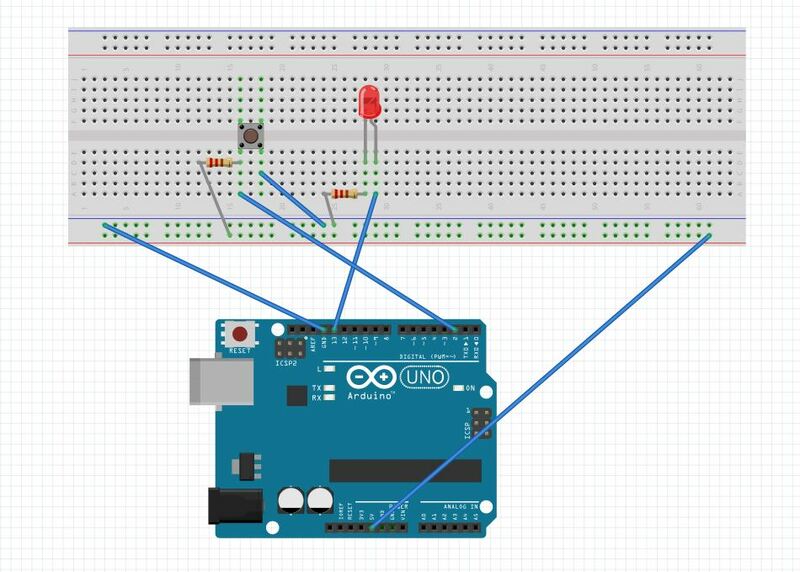 I am trying to make a simple button-controlled LED, but I cannot seem to get any input from the button that would change the state of the LED. In other words, the program keeps branching to lighton, keeping the LED always on, regardless of the button state. I am using an Elegoo Uno R3. cpi r20, 0x00 ; PORTD always equal to 0x00 ? Not the answer you're looking for? Browse other questions tagged arduino-uno led button assembly or ask your own question.